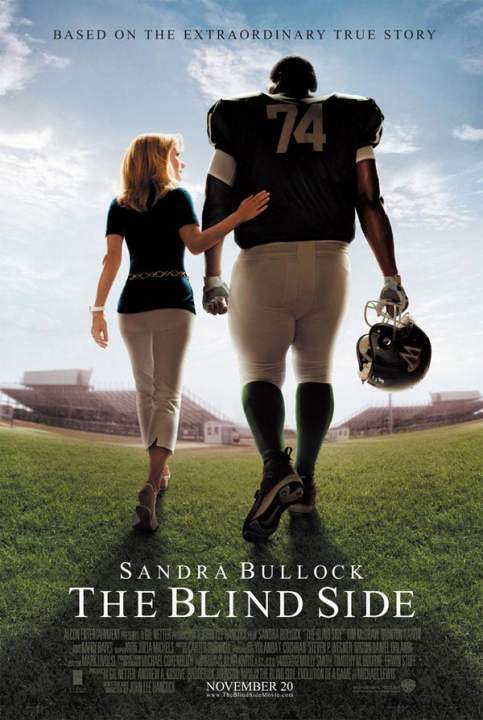 Anyone who enjoyed the movie will enjoy reading The Blind Side. I decided to read the book after seeing the movie. I was surprised by how closely the movie followed the book. There were aspects of the story that were understandably condensed for the screenplay, but the story of Michael Oher and the Touhys shown in the movie stayed relatively close to the one presented by Michael Lewis. Lewis did write several chapters that talked about changes in the game of football, hence the subtitle Evolution of a Game. These chapters were really the only noticeable part of the book not included in the film version. I found Lewis to be a very compelling writer. He’s written close to a dozen books, but this was the first I ever read. I found myself drawn into even the parts of the book that went into detail about football strategy and other aspects of the game, even when I had no idea what any of it meant. I know nothing about football and have no desire to learn more, but Lewis made his topic so interesting that I couldn’t help but be drawn in. Of course most people will probably read this book for Michael Oher’s story. Certainly that is why I did. I enjoyed getting a more complete picture of the story I found so inspiring in the movie. Please do yourself a favor and go see this movie as soon as possible. It is well worth the price of admission. Normally I don’t get emotional during movies at all, but this one got to me. It reminded me of another favorite of mine, Amazing Grace, in that it really makes you realize that one person can make a difference. I will certainly be adding this to my collection when the DVD comes out.